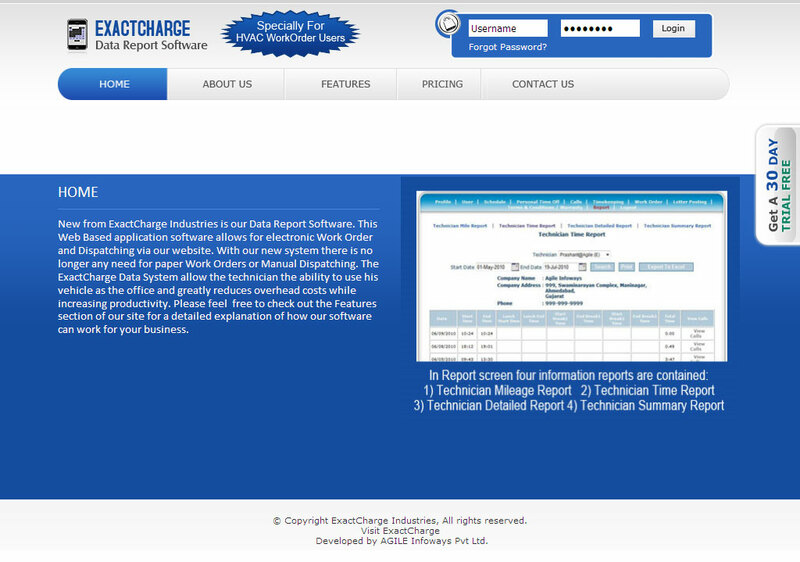 ExactCharge Industries is proud to introduce our latest software for the HVAC/R Industry. We have combined our unique Systems Data Software with a dispatching ability in a web based application for real time electronic Invoicing, dispatching, system logging, technician field data implementation, report generation and much more. No outrageous upfront costs like our competitors. With our system you pay a small monthly usage fee. Our system was built exclusively for the HVAC/R Industry by our founder who has over 20 years experience as a HVAC/R technician.